When it came to 80s fashion trends, if it wasn’t bold, it wasn’t considered beautiful or hip. Men went out and got permed hairdos, while women were dressing in oversized, over-polished leather jackets. Even young girls got in on the 80s trend dressing – dawning on shiny socks, hairbands and fluorescent jackets. These 80s style shorts were made famous due to their outrageously bright colours. You couldn’t go to any hot-spot – whether it was a beach party or a gathering around the pool – in the 80s without seeing a group of men and women in Jam Shorts. The inspiration for these enormously popular shortened versions of pyjamas came from, as the name suggests, cut-off pyjamas! Soon, the knee-length shorts were a trend setting hit! As the era of the Jheri Curl, favoured by legends like Ice Cube and the Jacksons, started fading, the High Top Fade took its place as a bold addition to 80s fashion trends. By then, the shoulder length Curl had become rather dated, and young African-American boys and men wanted a change in hair style. 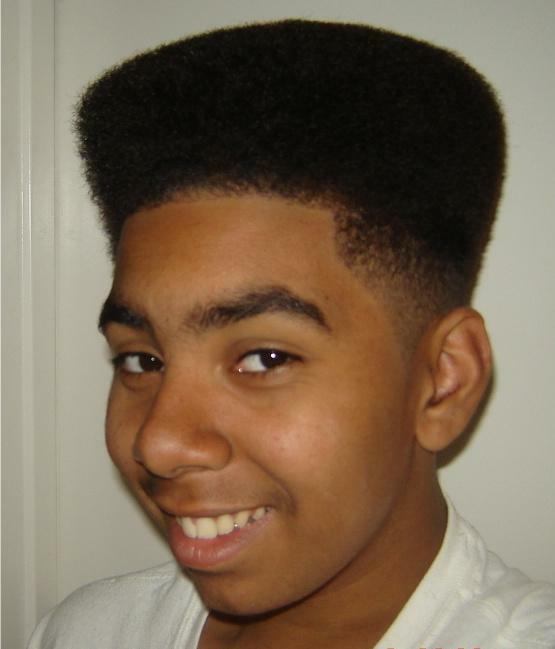 So, rather than growing it big and beautiful downward, they let it grow bold and upwards, creating the High Top Fade. When rappers like 2Pac, Big Daddy and MC search started wearing their hair in Fades, a new 80s fashion statement was established! From rappers to hip-hop we jump, with artists like Slick Rick kicking off the shoe of the decade in his debut album. The Bally Shoe became an 80s style must-have footwear when the hip-hop artist gave it a loud shout in his track “La Di Da Di”. From there, those shoes just took off! Traced back to 1851, the Bally company added a bold new chapter to footwear fashion trends of the 80s when their red suede shoes were featured on the cover of Slick Ricks album. Throughout the decade, it was considered cool to be seen lounging around in the day wearing a pair of Ballys. One of the more iconic of 80s fashion trends was the mullet. Made popular by celebrities like English DJ Pat Sharpe, Australian singer-actor Jason Donovan and Country singer Billy Ray Cyrus. This eighties style hairdo involved letting hair grow down to the shoulder, while keeping it short in front. The idea was to flash a waving mane behind them, as men walked or moved about. In fairness, the Mullet had its share of proponents too, that gave it a bold boost. Macho men like TV star Angus MacGyver and tennis star Andre Agassi embraced this 80s fashion trend on the court and the screen, which left many of their fans from the 80s mulling the mullet too! From the modest and discrete shoulder pad, to neon legwarmers and shoulder-length hair, you’ll see people wearing some of the 80s style clothing even today. Not only are Balmain’s giant shoulder pads popular today on runways and red-carpets, but you’ll also see ordinary people dressing like the 80s were back in trend! Women in high tops, and men in shiny leather jackets can be seen all over – both in formal and informal settings. Even eighties backless shoes, another one of the more popular fashion trends from that decade, are again making a comeback. Fashion and beauty publishers WWD, 80s fashion trends are seeing a resurgence, and will likely continue to dominate the retro-fashion cravings in the coming years. WWDs assessment of 80s trends making a comeback coincide with other trend-watchers of that decade. Edit, the well-known retail analytic company, also predicts a growing reincarnation of 80s style wardrobes.